Groveland Terrace condominiums is located in the Lowry Hill neighborhood of Minneapolis near the Walker Arts Center. Developed by Sherman Associates in the mid 2000's, the same people behind Chicago Lofts as well as the luxury Zenith condominiums in the Mill District. The location of Groveland Terrace condos near the Minneapolis Lakes makes them an attractive living option for those working downtown Minneapolis. Close to downtown amenities and attractions, but also an alternative to urban living, with a residential look and feel. Groveland Terrace has some inviting price points for first-time home buyers and a mix of neighborhood and downtown views depending on the unit. 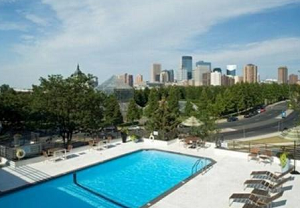 Shared amenities include an outdoor pool overlooking the Minneapolis city skyline, workout room and a party room. 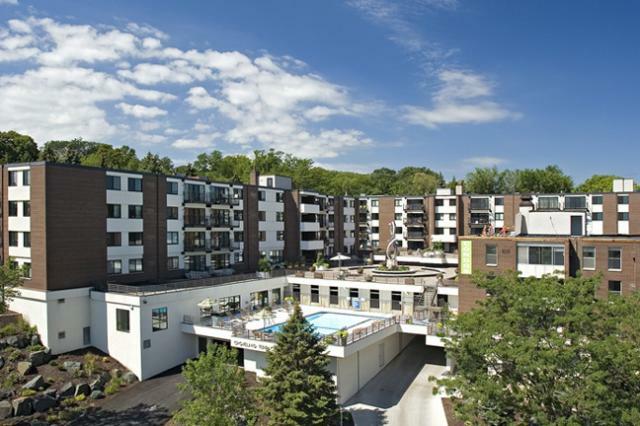 See all Groveland Terrace condos for sale in Minneapolis, or learn more about building amenities and neighborhood features. Looking to live at Groveland Terrace in Lowry Hill Minneapolis but not finding what you are looking for? Inquire about our 'off MLS' Minneapolis Condo and Loft pocket listings. Groveland Terrace, Minneapolis offers many of the luxury amenities that are found in more expensive downtown condo developments. Highly sought after extras like an outdoor pool, rooftop deck, workout room and saunas are just some of the great shared features residents can expect to enjoy. The units themselves vary in size from 725-1,225 sq. ft, so homebuyers can choose a residence that best suits their lifestyle, whether they are looking for a bachelor pad or a unit with room to grow. Many of the units come with outstanding skyline or neighborhood views, which only adds to the appeal of these affordable condos. One of the selling features of Groveland Terrace condos is their location. Residents can find culture, recreation, shopping and dining within walking distance from their front door. 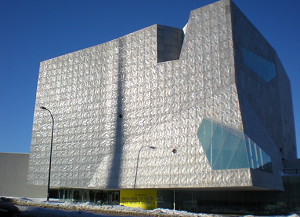 Culture buffs can head down the street to the Walker Art Center or gaze at the outdoor displays of the Minneapolis Sculpture Garden. Outdoor enthusiasts can find running trails, picnic areas and biking paths in beautiful Loring Park. If the crowds don't suit your fancy, there's the Bryn Mawr Meadows which is much quieter and still within a quick stroll. Prefer some recreational shopping? Nicollet Mall's variety of stores and restaurants will keep you occupied for hours at a time. Public transit and bike lanes make commuting to the downtown entertainment and attractions a breeze. Parks: Loring Park, Loring Greenway, Minneapolis Sculpture Garden, Thomas Lowry Park, Bryn Mawr Meadows, Kenwood Park, Franklin Steele Park. Restaurants: Crave Minneapolis, Cafe & Bar Lurcat, Rudolph's Bar-B-Que, Loring Kitchen & Bar, The Lowry, Butcher & The Boar, La Belle Vie, Tao Natural Foods, Buca di Beppo. Shopping: Gaviidae Common, Macy's, Target, Nicollet Mall, Wedge Community Co-op, Marshalls, Minneapolis Farmers Market. Schools:New Horizon Academy (Private, PK), The Blake Upper School (Private, PK-12), Child Garden Montessori School (Private, PK), Fair School Downtown (Public, K-12). 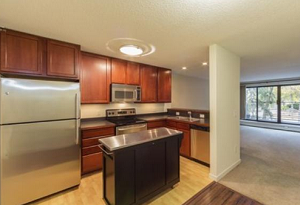 Do you own a condo in Groveland Terrace and happen to be thinking about selling? Let me assess your condos value and get you a price quote. Fill out my condo sellers form and our team of Minneapolis condo experts at Downtown Resource Group will get back to you with more information on the recent sales activity in your building as well as provide you a marketing plan and general market assessment.